Pack 652 is located in Brecksville, Ohio associated through St. Basil Church. The Pack is designed to support the growth of young children on their journey through Scouting. 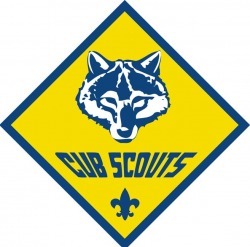 The Pack is a member of the Scouts BSA Lake Erie Council. ​To prepare young people to make ethical and moral choices over their lifetime by instilling in them the values of the Scout Oath and Scout Law. In addition, to have fun through activities and learning. ​On my honor I will do my best to do my duty to God and my country and to obey the Scout Law, to help other people at all times; to keep myself physically strong, mentally awake, and morally straight. ​​A Scout is trustworthy, loyal, helpful, friendly, courteous, kind, obedient, cheerful, thrifty, brave, clean and reverent. ​Do you know how many years Cub Scouting has ben around? Cub Scouting began in 1930, which means it is now more than 80 years old. Can you imagine how many boys have been Cub Scouts in all those years? If you said "ten of millions" you would be right! ​Lord Baden-Powell founded Scouting over 100 years ago. Then younger boys also wanted to be Scouts. It looked like fun and adventure! Baden-Powell and others listened to the boys and helped to create Cub Scouting. ​Baden-Powell really liked the stories in The Jungle Book​ by Rudyard Kipling, and he thought many of the characters were fun and playful, just like Cub Scouts. He also knew it was important for the boys to have a wise leader like Akela (Ah-KAY-la), the wolf. Akela lets Mowgli (MO-glee), the boy, join the wolf pack. Maybe you also know about Baloo the bear, who helps teach Mowgli the laws of the jungle so he can live among the animals. To this day, we have names like Akela and Baloo, and words like den and pack, in Cub Scouting. That's our way of remembering how Cub Scouting began with ​The Jungle Book.